Wed: 2 p.m.to 8 p.m.
Fri, Sat, & Sun:10 a.m.to 8 p.m. The park will be open normal hours on Memorial Day, Labor Day and July 4th. It is closed to open riding on Club event dates, including Saturday. On March 4, 1979, the Rapid Angels Motorcycle Club discussed the possibility of a Motorcycle Recreation Program (MRP) funded park for the land adjacent to their own twenty acres in the Town of Rome.The MRP is operated through the Wisconsin Department of Natural Resources. The program is designed to provide financial assistance to local units of government for acquisition, operation, and maintenance of public off-highway motorcycle riding areas and facilities. Funding for this program began back in 1969 when the state added a two-dollar fee of motorcycle registrations. A committee from the Rapid Angels met with the Town of Rome officials and proposed the development of a MRP funded park. 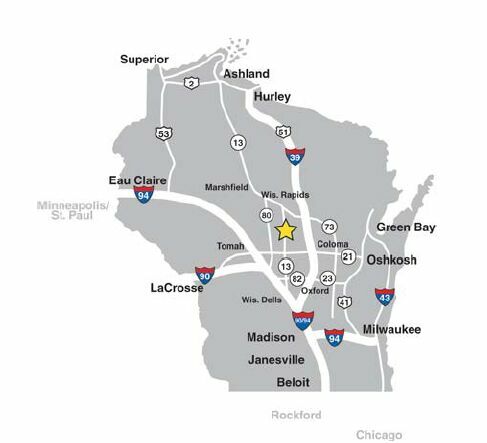 After several meetings, the proposal was approved and the Town of Rome became the first in Wisconsin to develop a motorcycle recreational area with funding from the MRP. The Dyracuse Recreational Area officially opened on May 29, 1982, and is operated by the Town of Rome in cooperation with the Rapid Angels Motorcycle Club. The park is named after Dyracuse Mound, a prominent landmark in Adams County, where it is located. The area abounds with recreational opportunities with numerous lakes and forests surrounding the park. Camping, lodging, food and gas are readily available. In northern Adams County, this 334-acre motorcycle and ATV (all-terrain vehicle) park is open from early April until the last weekend in October. 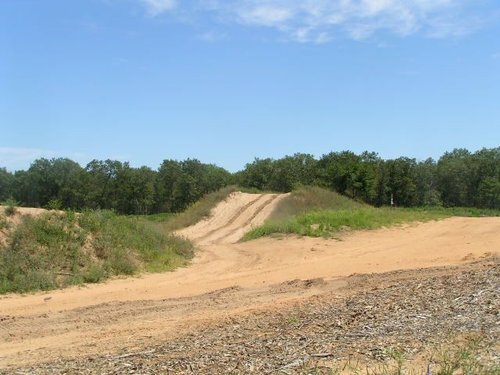 There are over ten miles of trails, a peewee track, and two motocross tracks. Dyracuse Mound is situated within the recreational area and a lookout tower sits atop the mound. There are picnic grounds, grills, tables, a shelter house, children’s playground, restrooms, and hot and cold water provided. The park is funded by the State of Wisconsin and operated jointly by the Town of Rome and the Rapid Angels Motorcycle Club. 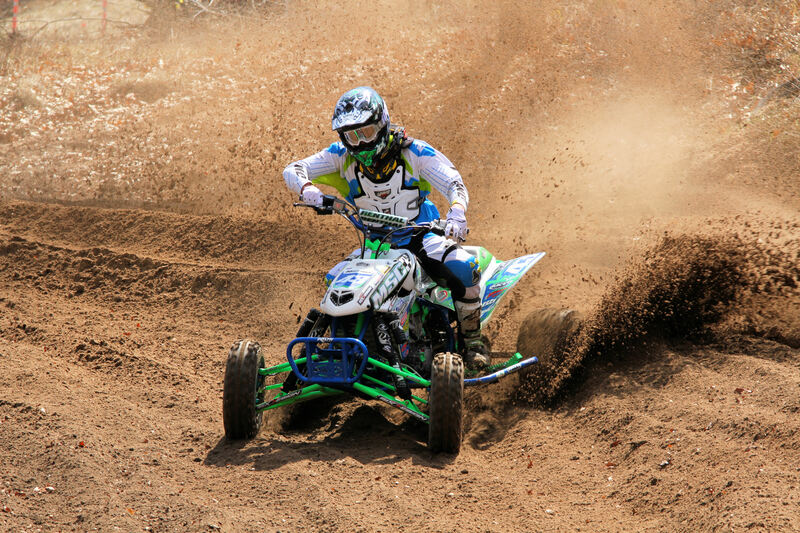 Several annual competitions are sponsored at Dyracuse, including motocross and hill climb events, and a harescramble. Monroe Prairie ATV Club, Inc. Many roads in the Town of Rome are open to ATV riders and marked with ATV route signs or arrows. Operators must stay on marked routes. Riders are encouraged to stop by the Rome Municipal Building (M-F 8am to 4pm) or Pritzls Trading Post (open daily) for the most current map of designated town road routes. Every effort is made to keep current route maps accurate; however, changes may occur so it is best to follow marked trails as they will be the most accurate. 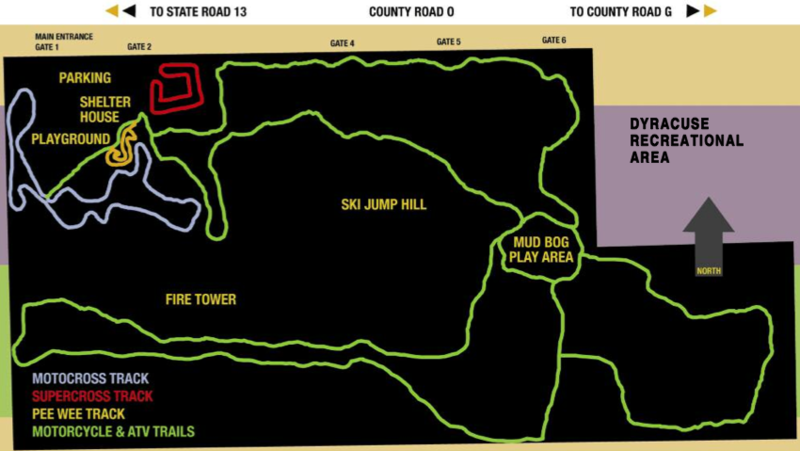 For the most current Adams County ATV trail routes and maps call the Adams County Parks & Recreation Department at (608) 339-4230.